New wonderful varieties for season 2019 available from October. 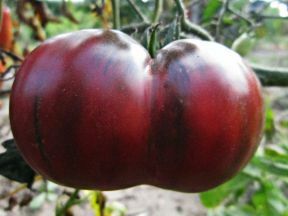 Winter Heirloom Tomato Seed Sale! Up to 50 % off for selected varieties. Great tomatoes for the price of 1 EUR. Free shipping for orders above 20 EUR and free gifts for orders above 7 EUR. The best seed selection of big fruit varieties that guarantee exceptionally large tomatoes. We deliver internationally all year ! Siberian tomato seeds with raised temperature and germs tolerance. We offer you over 500 varieties of tomato seeds. Free 4 packs of seeds for each order over 30 EUR. Indigo tomatoes high in anthocyanins. Sold out. 10 seeds. New for season 2019. A multicolor determinate tomato ideal for pots, bred by Blane Horton. 15 seeds. New for season 2019. Heavy producer pink tomato. 10 seeds. New for season 2019. Attractive colored rare tomato originated in Australia. 15 seeds. Delicious heirloom tomato from Calabria region in Italy. 10 seeds. This variety is darknest known tomato in the world. 10 seeds. A Russian heirloom variety tolerant to cold weather that grows well in cool summer. Tomato Eden is among the largest and most diverse tomato seed inventories in Europe. Our company offers heirloom and rare tomato seeds that have been long forgotten in our modern world and cannot be found in commercial shops or gardening catalogs. Our family has been growing vegetables for more than 40 years. It has been our work and passion. We love to share our knowledge and expertise with our valued customers and are always happy to answer questions in regards to tomato cultivation. We specialize in cultivating rare and unique varieties, well suited for cooler climates, as well as traditional and large fruited tomatoes. Our selection is expanded each year as we choose new plant varieties to grow. Despite the harsh climate of Eastern Europe we grow and harvest all the plants on our family farm in harmony with nature. The seeds we offer are not genetically modified or bred by heterosis. All the photographs on this website have been taken by us and depict the plants in their natural form. We are proud to offer you the greatest quality of seeds possible along with high ranked customer service. We try our best to satisfy our customers by processing each order with the greatest care and commitment. Our company is represented by the website Allegro.pl, which is a Polish equivalent of Ebay. Thousands of customers have trusted us as it is evidenced by the 8300 positive comments we have received in the short period of three years. We are excited to share our passion for gardening with you! Enjoy your shopping! Please like us on Facebook.